Trevor Donovan leads a double threat career as an actor and a model. He is famous for his groundbreaking role as Teddy Montgomery in the American teen drama TV series, 90210. Since 90210, Donovan has starred in over 30 films and TV shows. He was nominated in 2013 for best-supporting actor in a feature at the Golden Door International Film Festival in Jersey City. Fans also know Donovan for his well-played role as Elvis Presley on the 2017 CMT original series Sun Records. Follow us as we walk you through the life of Trevor Donovan. Trevor Donovan (a.k.a Trevor Donovan Neubauer) was born in Bishop, California; on October 11, 1978. Trevor and his brother, Jake Donovan, were both raised in Mammoth Lakes, California. Although Americans, they both share deep German-Jewish roots. As of this writing, Jake serves as a fireman in Sacramento, USA. Growing up, Trevor Donovan took a keen interest in skiing and snowboarding. Snap out of it! He was no hobbyist. As a teenager, he played on the US skiing team during one of the junior Olympics. He modeled for upcoming fashion brands in the US before striking gold in acting. That’s not all. He also does music; as a vocalist and guitarist. However, professionally, Donovan trained as a Graphics Designer. He attended the Art Institute of Los Angeles. With his multiple talents, Trevor could’ve been anything. But he settled for professional acting and hasn’t looked back since then. Trevor Donovan’s acting career began full-fledged in 2004 when he appeared as a waiter on an episode of the American Situation Comedy, Quintuplets. However, it wasn’t all rosy for the young chap at the time. After his debut, it would take another three years before Donovan lands another movie role. This time, he starred as Jeremy Horton in, Days of Our Lives. His breakthrough came in 2009 when he acted the role of The Surrogate of Thomas Greer in, Surrogates. In June of that same year, Trevor Donovan secured a recurring role as Teddy Montgomery in the American teen drama TV series, 90210 which ran from 2009 to 2013. Although it began in 2009, Trevor was quickly upgraded to a “series regular” owing to his character’s popularity with viewers. Since then, Donovan has starred in shows like Awkward, Drop Dead Diva, The Client List, Texas Rising, and several more. He’s also big with movies. He has appeared in films like Hot Water, Wolf Hound, and in July of 2012, he was signed up for the role of Matt in the 2012 movie, Savages. A year later, Donovan landed a recurring role in the third season of Melissa & Joey which ran from 2013 to 2014). He also starred as Trip Oliver in the 2014 film, Bermuda Tentacles. In 2017, Donovan also made appearances in four seasons of Sun Records as Eddy Arnold. So far in his career, Trevor Donovan has appeared in over 30 films and television shows. Acting aside, Trevor Donovan is a West Coast ambassador for the Robert F. Kennedy Foundation; and he also sings, plays the guitar, writes and performs songs for a few of his movies, too. Although he’s involved in multiple businesses, he hasn’t come plain about, much of his earning have come from his acting career. As of this writing, he has an estimated net worth of $400,000. Although there are speculations that Donovan might just be another gay actor, he hasn’t come out to say so. At least not yet. His unmarried status adds to this speculation in no small way. But there are just that, speculations. The handsome actor isn’t married and shows no signs of settling down any time soon. Perhaps, there are other crucial and urgent things to occupy his precious time with. 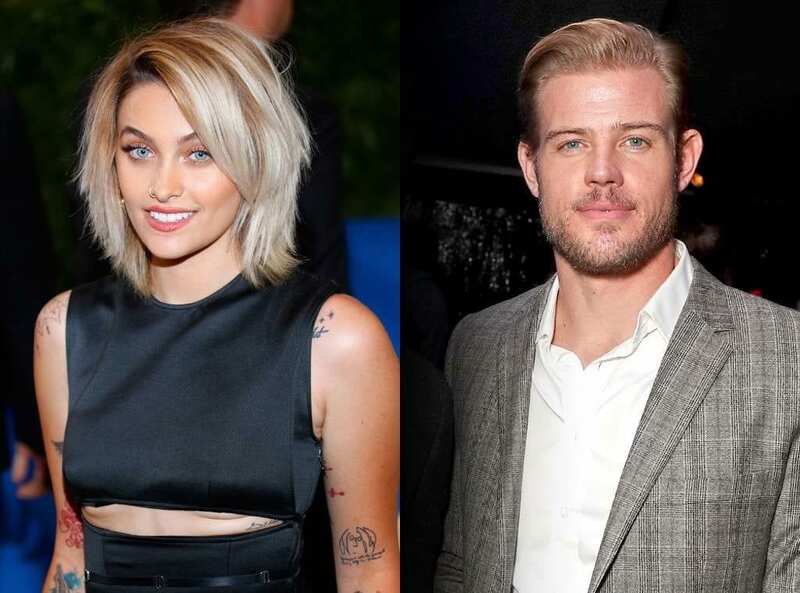 However, we owe you the news making rounds that he is dating Paris Jackson, daughter of the late king of pop, Michael Jackson. But Trevor Donovan hasn’t come out to deny nor accept the claims. Until then, let the news spread. Trevor Donovan is what you’ll call an alpha-male-build. He stands at a height of 6 feet 2 inches and weighs 90kg. Also, his chest, waist, and biceps measure 43, 32 and 16 inches respectively. He has golden brown hair and blue eyes.